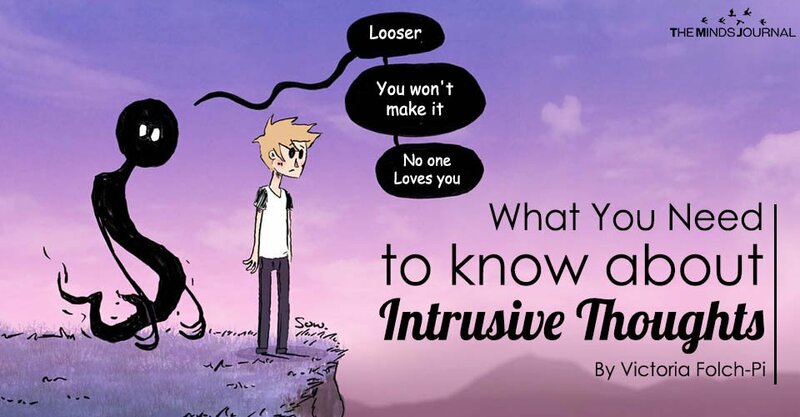 “Intrusive thoughts” defines itself; they are thoughts that are intrusive. They are described as intrusive because they tend to be rather upsetting and graphic for the person being forced to think them. However, the myth here is that they are any more powerful than any other thought. In truth, they are not. 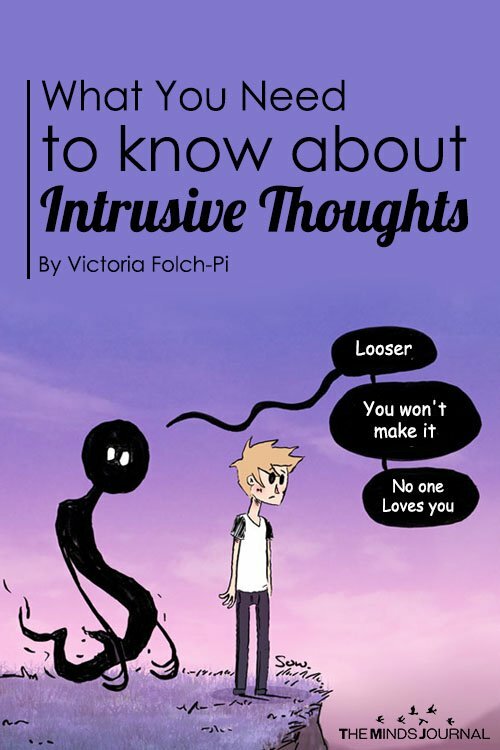 Whether you have OCD or not, everyone has intrusive thoughts. Every person has at least one time in their life where they are, for example, walking down the street and they suddenly have a thought or an impulse to do something completely inappropriate, like punching somebody in the face for no reason. It is perfectly normal and human to have intrusive thoughts. The fear behind intrusive thoughts comes from the belief that on some level, the thinker wants to act on these thoughts. In actuality, intrusive thoughts are born of what you don’t want to do. In a way, the fearful reaction to intrusive thoughts is an indication that you are the kind of person who would never act on them. They come from what you fear, not what you are. These thoughts thrive off of fear, resistance, and pushback. On some level, you may feel that if you acknowledge the thoughts, you are saying ‘yes’ to them. But that’s not true! Acknowledging the existence of them is nothing like acting on them. Look; you acknowledge that the ground beneath your feet exists, right? But just because you are doing that doesn’t mean you are throwing yourself on the ground so that you get hurt. Acknowledging the existence of it doesn’t mean you are agreeing with it. Seriously, try it; your fear falls away and any power that damn thought had is gone because you are no longer afraid of it. OCD, for many people, is just the “cleanliness condition.” Don’t get me wrong, that can be an intense part of it. But there is a form of OCD called “Pure-O” OCD in which intrusive thoughts are the primary factor of the condition, without compulsions. These thoughts are graphic, disturbing, and persistent. They bother the person over and over and because there are so many, basic tactics can help, but not always. People with this form of OCD are generally kind-hearted, gentle people plagued by thoughts they don’t want at all. Look; carrying around thoughts like this can be exhausting. Dealing with it by yourself, in your own head, can make your quality of life hell. But there are treatments for it, both mainstream and alternative. Personally, I find that therapy, medication, and meditation is a good cocktail to handle intrusive thoughts. You are a good person, you never did anything wrong. Going to therapy and getting treatment will really, truly help you believe that. Victoria Folch-Pi is a creative and spiritual writer with the hope that her writing will help others heal. For more, visit her blog at lightofvindr.wordpress.com.